My work week started out rough but today made up for it. 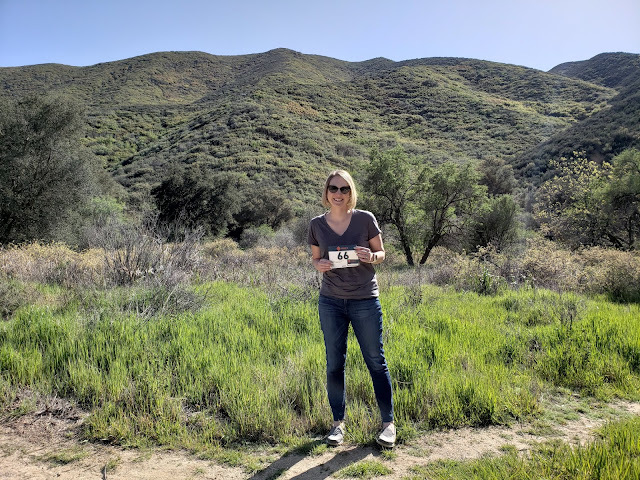 I had a fantastic Friday and want to share my excitement with you! These are all little things in the grand scheme of life, but isn't it the little things that count? I think so. First, I woke up early to the anxiously awaited email invite to the Oiselle Secret Sale. You may know that I'm a Oiselle lover, so much that I even had this event on my calendar. Call me a run nerd, I can take it. I ordered the Boise Bra in black, the Base Runner Tee in Alder, and another pair of arm warmers in Orange. Technically, the arm warmers are not on the sale, but if I'm paying shipping I might as well add them in (I've wanted this color for a while.) Boy did my arm warmers come in handy for last weekend's 10K. Second, I had a massage today to work on my lower leg tightness. I've had some weird tightness, slight pain I suppose, in my right foot and ankle that has been off and on the last month or so. Honestly, I think the brunt of it was from running the slanted parts of the road in Big Sur. It comes and goes so I haven't been too worried, but it was definitely back after the 10K. The massage therapist found a couple of super tight areas that are causing the trouble. It's feeling quite a bit better already and my ankle isn't popping so much when I do a circle. She showed me a couple of good stretches and exercises to keep working on it too. 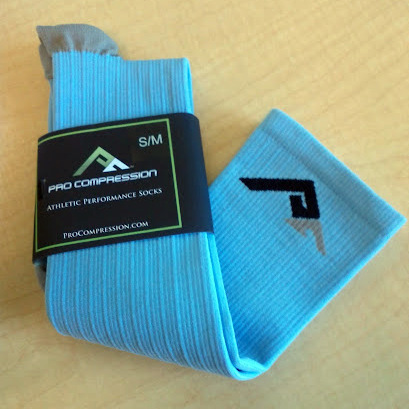 Next, my very first purchase from ProCompression arrived in the mail! Marathon socks in baby blue, purchased using the 40% off and free shipping #runchat deal. I'll be happy to check them out for tomorrow's long run recovery. I have a pair of Sugoi compression socks that I use now, and these seem better already. Baby Blue, love the color. 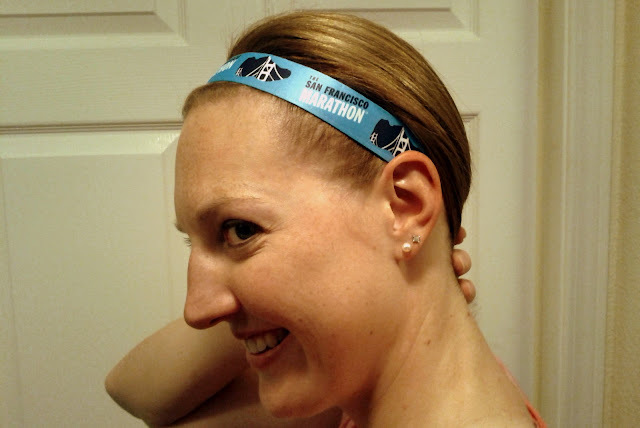 Last and most exciting - the SF Marathon sent me one of their logo SweatyBands! They contacted me on Twitter after I tweeted about how much I wanted one, and now here it is. The SF 1st Half was my very first half marathon ever in 2009 so it's a long time favorite. I'm thrilled to have it be my first repeat half this year in July. It's hard to believe I haven't repeated a race until now, but I haven't. It seems appropriate that this is the one. If you want to run it, sign up now because the 1st half (which runs over the Golden Gate Bridge) is over 90% sold out as of this week. Look I have an SF Marathon SweatyBand! Big smile. That's all for my fantastic Friday. Tomorrow is my last 20 miler before the Seattle Rock 'n' Roll Marathon and I'm excited about it. It's hard to believe training for my next marathon is basically over. Only 22 days left until the race! Hooray for Favorite Fridays! If I didn't know better, I'd say you like the color blue...And it looks smashing on you! Guilty of buying too much blue, haha. Thanks!